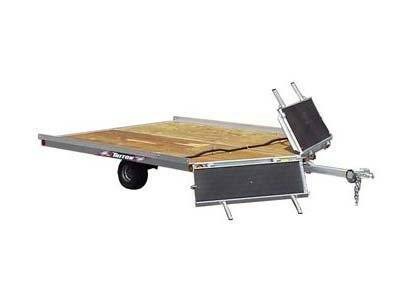 Triton's XTD12-101 is an tilt-on / drive-off trailer with a straight pole tongue. The XTD12-101 includes many fine standard features that have been a staple for Triton XT series trailers for many years. This 12 foot trailer has many standard features like a tilt deck and v-front deck, fully treated 5/8 inch plywood, custom aluminum extrusion frame, and torsion axles. The XT Series has the most value for your dollar on the market today.